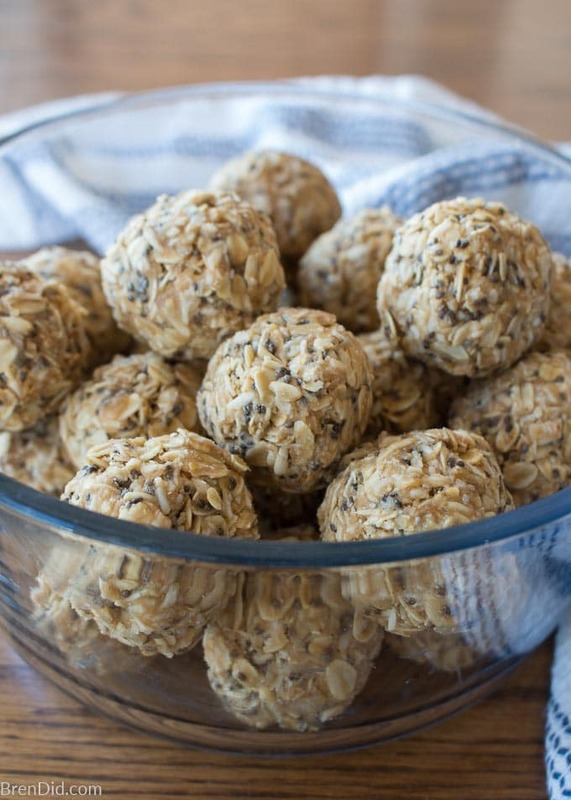 No Bake Energy Balls are the healthy snack or quick breakfast you have been waiting for. 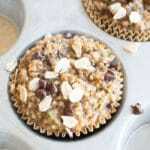 These tasty energy bites are loaded with salty-sweet flavors and are naturally gluten free. Made with real food ingredients like oatmeal, cashew butter (or almond butter), and chia seeds. This is snacking done right! Disclosure: This post uses affiliate links. 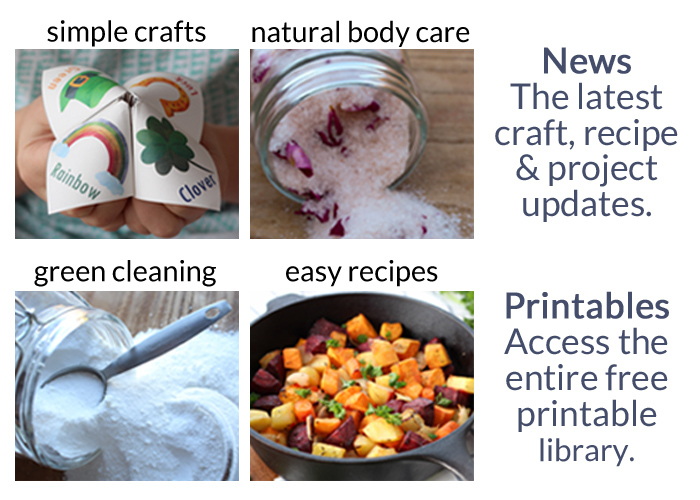 They don’t cost you a thing and help us bring you healthy recipes. Read more in Policies & Disclosures. Spring is finally here in the Midwest! We’ve just finished spring break and summer vacation is dangling like a prize just around the corner. It’s the time of year when my kids get sick of the “up early for school” routine and fight to stay in their beds as late as possible. I have one kiddo who has MASTERED the art of sleeping until the last possible second and then dashing down the stairs just in time to catch a ride to school. Energy balls are little two bite treats loaded with healthy ingredients to keep your body fueled for the day. 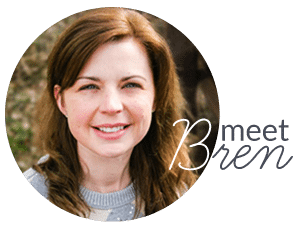 You many have heard them called energy bites or protein balls. Making oatmeal energy balls is a lot like making homemade granola bars. 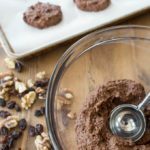 You start with a few healthy dry ingredients (oats, shredded coconut and chia seeds) and coat them in a sweet, gooey mixture made from nut butter, maple syrup or honey, and coconut oil. Refrigerate the mix for a bit and the whole concoction sticks together so you can shape it into balls or press it into a pan to form bars. It's salty sweet ooey gooey salted caramel heaven. 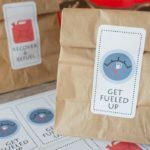 Energy balls can be stored in the fridge for 2 weeks or frozen for several months. (At my house they seem last about two seconds because the whole family LOVES them.). 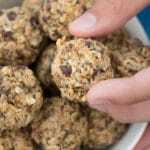 Can you add protein powder to the energy balls? Yes, you can add protein powder to the mix but it will change the flavor. 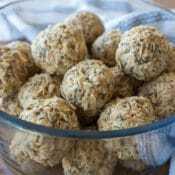 I do not use protein powder since I usually make these energy balls for kids. Plus the nut butter, oatmeal, and chia seeds provide protein. 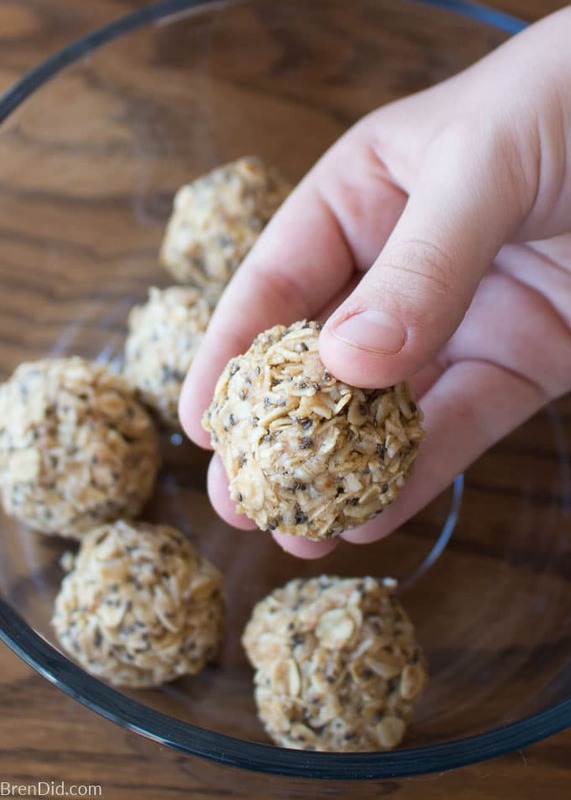 Can you make energy balls without chia seeds? Yes, you can omit the chia seeds. 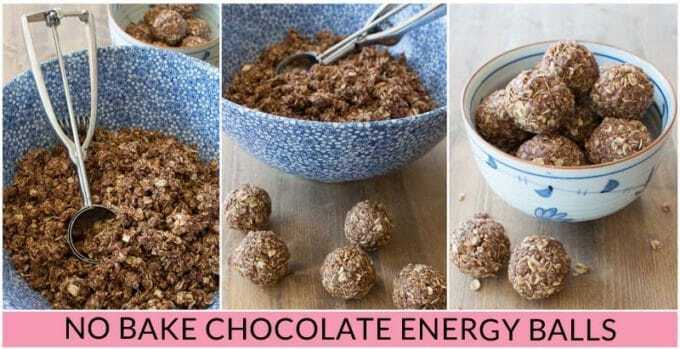 I love making energy balls with chia seeds because they give the mixture a chewy but crunchy texture AND they are naturally high in protein and fiber. 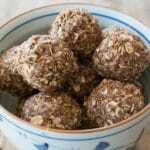 Can you make energy balls without flax seed? Yes, you can omit the flax seed. 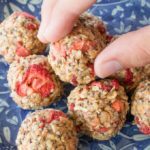 I like to sneak flax seed into these treats because it adds extra fiber and healthy fats to the snack. Flax seed is also a good source of magnesium. Can you make energy balls without coconut? Yes, you can omit the coconut, but you must increase the oatmeal by ½ cup. The coconut adds great texture and flavor to the energy balls and doesn’t really taste very coconut-y. Yes, you can substitute any nut butter for the cashew butter in this recipe. Warning: changing the nut butter will change the flavor. I have only made the recipe with almond butter and cashew butter, both taste great. I can’t get my mixture to form balls, help! Make sure to refrigerate the mix for at least 30 minutes before shaping them into balls. (If it is a hot day or your kitchen is warm it make take longer than 30 minutes.) Scoop out 2 tbsp of mix and quickly press it into a tight ball, the mix is too coarse to roll. 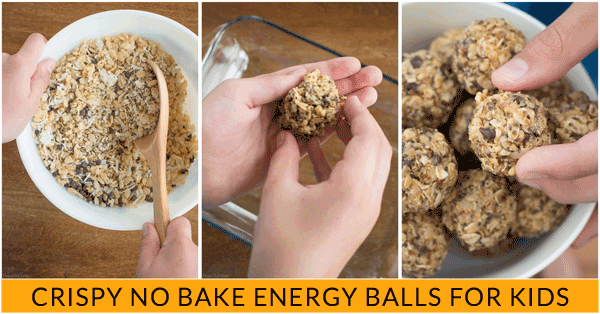 Can you make energy balls without a food processor? Yes! You make energy balls in a mixing bowl with a spoon, no food processor needed. (If you like a smoother texture you can use a food processor to lightly pulse the oats to break them up into smaller pieces.) Make sure the “wet” ingredients are well combined before mixing them into the dry ingredients. 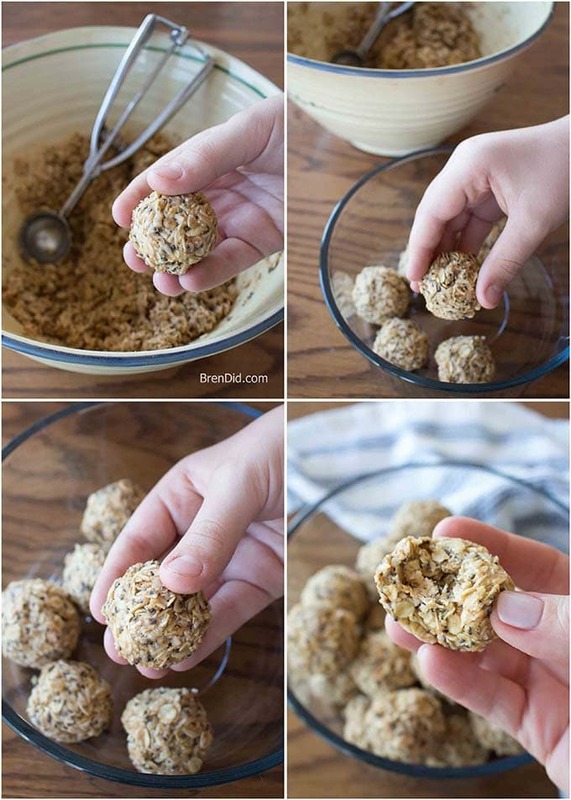 No Bake Energy Balls are a healthy snack or quick breakfast. 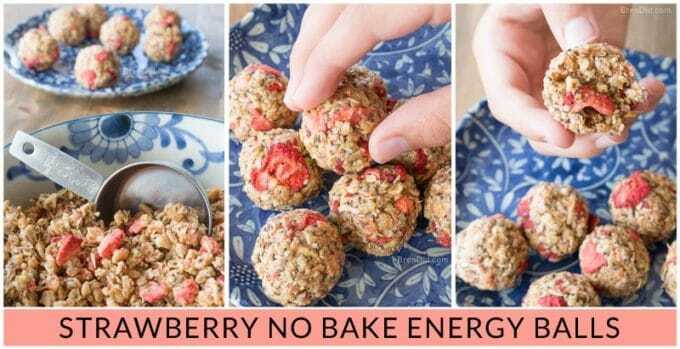 These tasty energy bites are loaded with salty-sweet flavors and naturally gluten free. This is snacking done right! Measure oats, coconut, chia seeds, and flax seed (if using) into a large bowl. Add nut butter, maple syrup, and coconut oil to a small saucepan. Stir together over low heat until all ingredients are melted (approximately 2 minutes). Stir in salt and vanilla. Remove from heat and let cool to room temperature. Pour nut butter mixture over oat mixture and stir to combine. Cool in the refrigerator for at least 30 minutes then shape into balls by pressing the mix together. Do not roll. Store energy balls in a sealed container in the refrigerator. Tips: Use a 2 Tbsp cookie dough scoop to make shaping easier. Make bars by pressing the mixture into an 8.5 x 11 pan lined in parchment paper, chill for at least an hour the cut into bars. These look delicious! We are huge fans of your other versions and cannot wait to try these! Are there measurements for the ingredients? Thanks!! Whoops, recipe error! It’s updated now! Im so excited to make them!